Seattle is widely regarded as first in line for a team to replace the Sonics. Could Mexico City be home to team No. 32? MEXICO CITY — The revelation hit Eduardo Najera as a local celebrity, Edith Márquez, stood at midcourt nearly three hours before tipoff, practicing her rendition of the Mexican national anthem. Najera, who was the second Mexican-born player in the NBA, had just plopped down into a baseline seat at the Mexico City Arena alongside Horacio Llamas, who was the first from the country to play in the league. 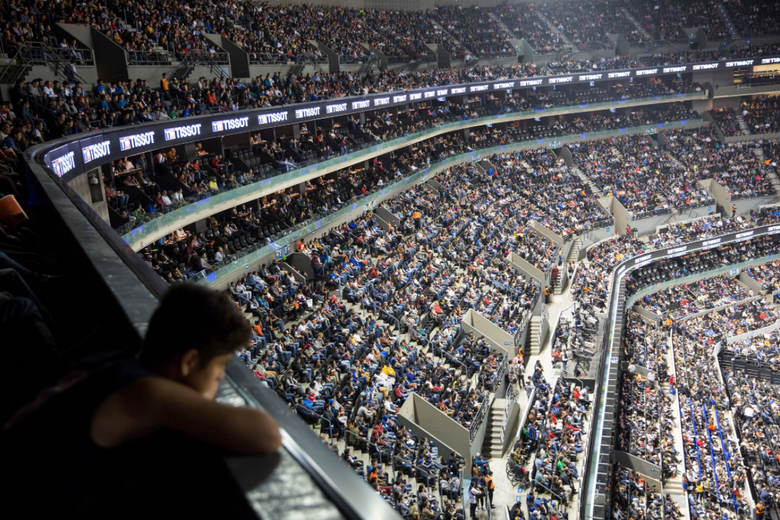 And as he scanned the scene from floor level, taking in the 22,300-capacity structure that would soon fill for a Brooklyn Nets-Oklahoma City Thunder game, Najera couldn’t help but think he was back in Dallas or Denver or another of the five stops in his NBA career. “This feels like the States,” Najera said. As patriotic as they are, Najera and Llamas — two of just four Mexican-born players to reach the NBA — were clearly pleased that the basketball bustle enveloping them, as the Nets and Thunder went through their regular warm-up routines, would have seemed authentic in any American outpost on the NBA map. The two have been in league circles long enough to be well acquainted with the inevitable believe-it-when-we-see-it skepticism back in the United States that greets talk of an actual NBA franchise landing south of the border someday. But they, and others here, are convinced that the NBA’s ramped-up local initiatives — in conjunction with the two regular-season games it staged last week in the Mexican capital — mean Mexico City’s time is coming. “We’re getting closer to that,” Najera said. The mayor of Mexico City, Miguel Ángel Mancera, was even more emphatic. In a brief interview in English after a news conference to welcome the NBA on its 25th anniversary trip to town, Mancera said he thought Mexico City could immediately handle its own NBA team. Things will not move as quickly as Mancera hopes. NBA Commissioner Adam Silver is clear about that, noting repeatedly in recent months that his league is not currently considering expansion or the relocation of an existing franchise. Signs of the game’s growing popularity in Mexico City were plentiful during the Nets’ five-day stay. 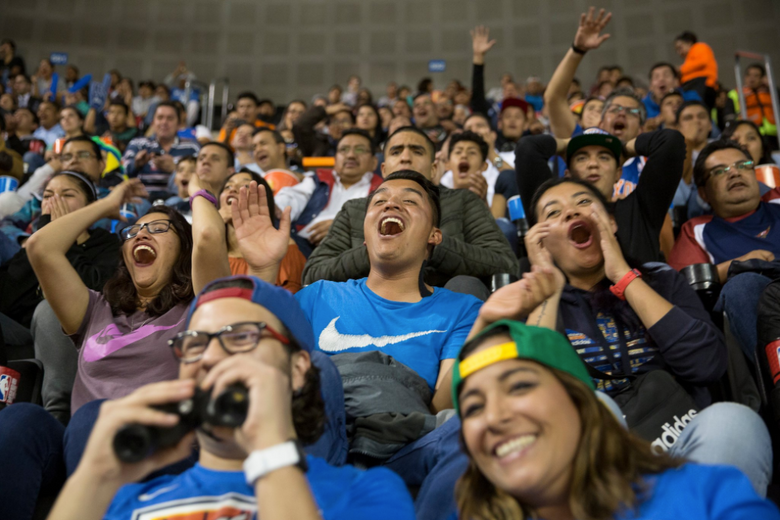 With tickets ranging from about $20 to $450, announced crowds for the two games were strong, totaling 20,562 in the first game and 19,777 in the second, during the same week naysayers asserted the country’s sporting consciousness would be the exclusive domain of soccer’s Liga MX and its Clasico Regio final pitting Tigres against local rival Monterrey. “Every time I come here, you can see that they’re just so excited to have basketball here,” said Miami Heat forward Kelly Olynyk, who has played two NBA regular-season games in Mexico City, including against the Nets last week. But it is the potential television perks, as much as any other factor, that make Mexico City an increasingly popular topic at the highest levels of the league and perhaps the strongest contender to emerge as a future home for the NBA, aside from Seattle, which is widely regarded as first in line to eventually regain its team after losing the SuperSonics to Oklahoma City in 2008. The demand for sports content throughout Mexico continues to increase, thanks largely to a rising middle class and the rapid growth of smartphone usage and pay TV subscriptions, but there is very little domestic content available to Mexican media companies beyond Liga MX. One NBA team could change that landscape and give those companies, as well as advertisers, something else prominent to invest in. But in those same streets, plenty is happening to give any American professional sports league a measure of pause about expansion. At the very least, much remains to be learned about how a prospective NBA team and its players would be affected on a daily basis by Mexico City’s notorious traffic and poor air quality, as well as the persistent violence in Mexico in general. The $300 million arena is in the northwestern borough of Azcapotzalco, one of Mexico City’s 16 such municipalities. Built upon a patch of land formerly occupied by a slaughterhouse, the nearly 6-year-old building is most certainly NBA-caliber, but public transportation to it is difficult from much of the city, and there is quite a contrast between the modern arena and the dilapidated industrial zone around it. Several residents interviewed complained about traffic, crime and water issues that have plagued the surrounding neighborhood since the arena opened. All three teams (Brooklyn, Oklahoma City and Miami) were housed last week in the upscale district of Polanco, one of the city’s most luxurious neighborhoods. Even so, players were required to attend team security briefings almost immediately after arriving at their respective hotels and were frequently trailed by guards as they walked to restaurants and high-end shops nearby. Practices for the week were held at The American School less than 10 miles away from Polanco. Many of the students at the international preparatory school are the children of business leaders and diplomats and armed guards, and their bullet-resistant vehicles are ubiquitous. Because of such nagging questions, it is natural to wonder how successful a team in Mexico City could be in terms of courting NBA free agents, given the Toronto Raptors’ long-standing struggles in recruiting players to one of the world’s most cosmopolitan cities — in an English-speaking country. The altitude and smog would be another major adjustment. Miami guard Goran Dragic said Mexico City’s elevation, which at nearly 7,500 feet above sea level is more than 2,000 feet higher than Denver’s, made it “way worse” than trying to cope with the thin air in a road game against the Nuggets. In last week’s first game, whether it was the altitude or illness, or a combination, there were players on both sides — most notably Brooklyn’s Allen Crabbe and Oklahoma City’s Russell Westbrook — who were forced to retreat to the locker room during game action to gather themselves. Crabbe left the floor twice to vomit during the Nets’ come-from-behind victory, while Westbrook felt so ill afterward that he was granted permission to skip the standard round of postgame interviews. “I think we had like five players under the weather — myself included,” Nets guard Rondae Hollis-Jefferson said of a stomach virus that several in Brooklyn’s traveling party believe contributed to a fourth-quarter fade in its subsequent loss to the Heat. 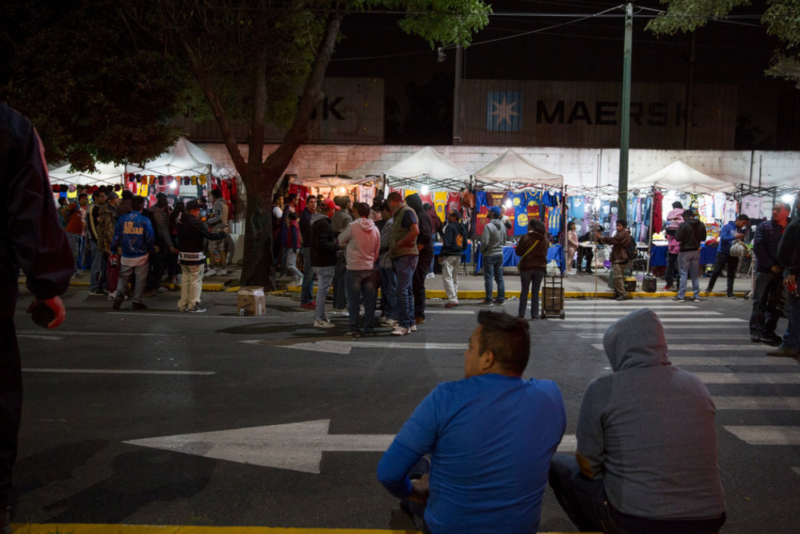 But the NBA is poised to get a much more detailed sense of Mexico City’s viability and start gathering its own data on the various logistical challenges tied to elevation, traffic, smog and security. “It’s a perfect opportunity to experiment with a G League franchise,” Silver said. Throughout much of David Stern’s 30-year tenure as NBA commissioner, talk of the league expanding to Europe was frequent. Now the link between the NBA and its neighbors to the south appears to have more possibility, helped along by an agreement in June 2016 with Mexican media powerhouse Televisa that brought NBA games to free-to-air television, in addition to the various league broadcasts on subscription channels such as ESPN and NBA League Pass. The broadcast audience for the two games last week, according to the NBA, was estimated to reach more than 31 million TV households. The closeness between the countries also allows the NBA to take measures that were never possible in Europe, as evidenced by the G League plans. But it will take more; Silver has said Mexico must start producing NBA-level talent more frequently to properly grow the sport here. So perhaps the launch of the league’s new youth basketball and training academy — its seventh such academy globally — will prove to be the pivotal domino in distinguishing the NBA from the many other top sports leagues and organizations (such as the NFL, Formula One and Major League Baseball) making frequent cameos here. As that analysis begins in earnest, unrestrained advocates like Najera — now a scout for the Mavericks — see no harm in dreaming big.